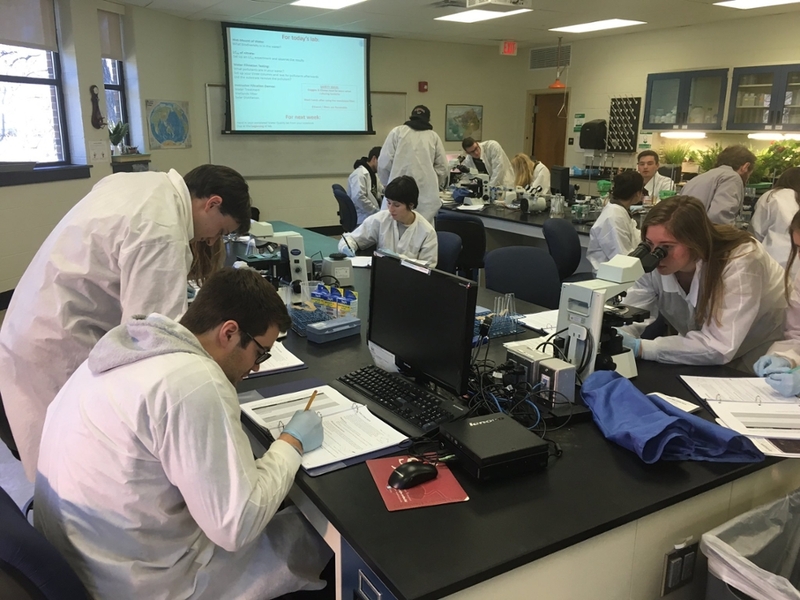 Saint Joseph’s University offers three lab-based science courses designed specifically for non-science majors in the fields of Biology, Environmental Science and Physics. Successful completion of any one of these courses will fulfill the General Education Program (GEP) natural science requirement. These courses emphasize making precise observations about the natural world and then challenges students to ask questions about their observations. Scientific ideas are generated through reasoning. These explanations are evaluated through testing. Students will use each of the following methods in each course: collecting accurate data through observation or measurement; interpreting graphical data; conducting controlled experiments; hypothesis testing. Using this approach, students are able to discover fundamental scientific principles and concepts. Students will be able explain and make predictions about natural phenomena. These courses also emphasize how science can be seen and performed in everyday life. Students also learn how to effectively communicate experimental results and scientific ideas to their peers. Please follow the links on the left to learn more about our curriculum and our instructional laboratory facilities.